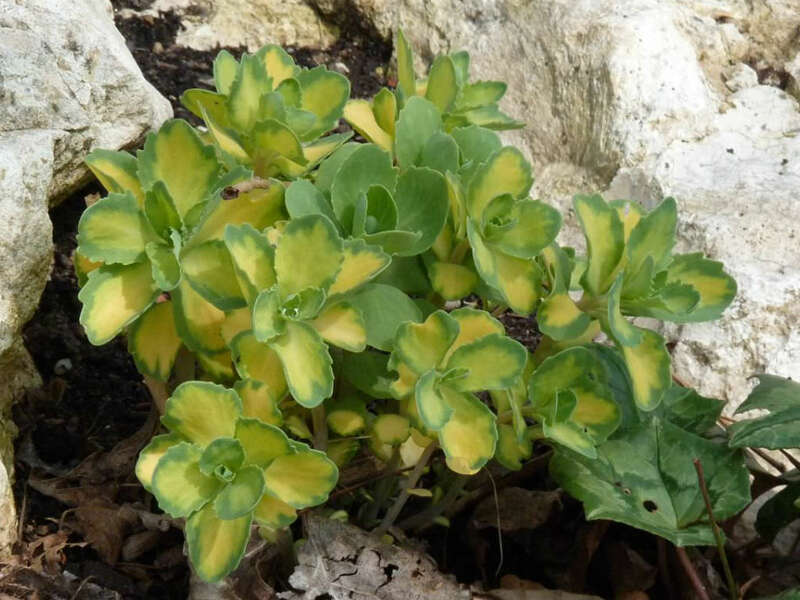 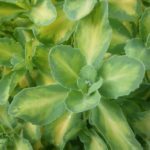 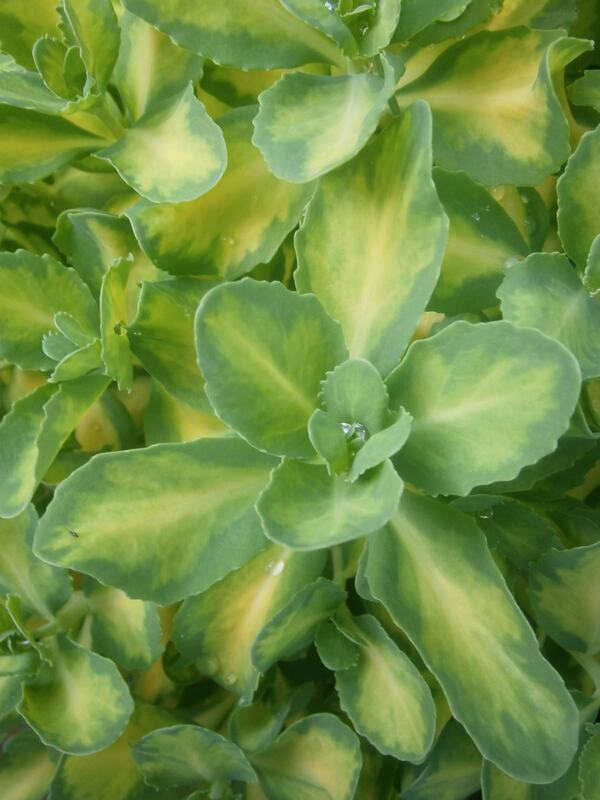 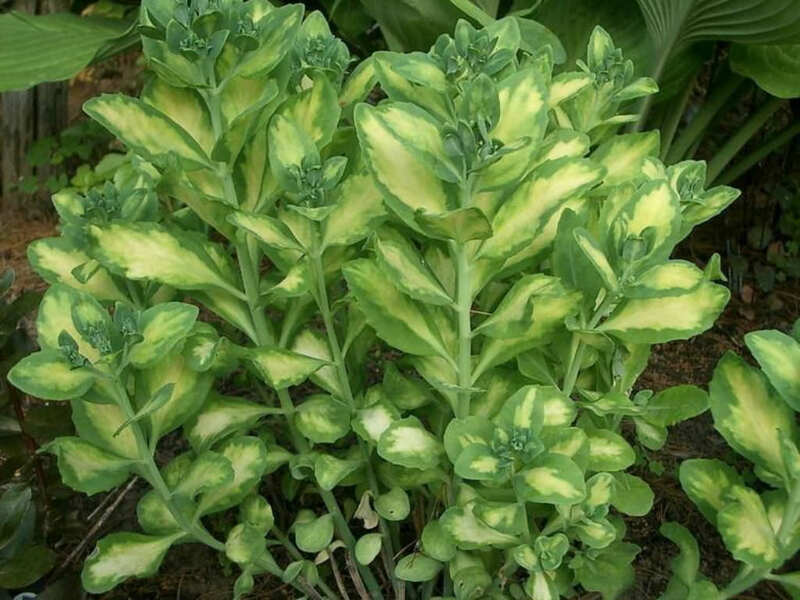 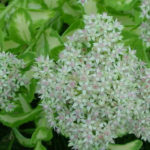 Hylotelephium erythrostictum ‘Mediovariegatum’ is a clump-forming winter dormant perennial, up to 18 inches (45 cm) tall with ornamental, fleshy, succulent-like, variegated pale yellow and green leaves which surround the thick, succulent, erect stems. 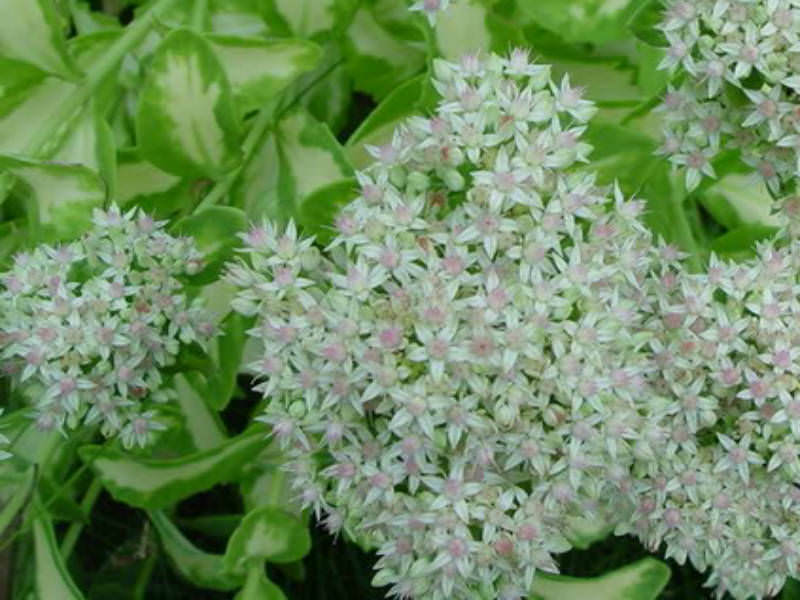 Flowers are star shaped, bright pink, in large (up to 6 inches /15 cm in diameter) flattened heads. 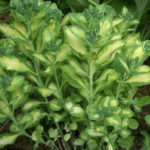 USDA hardiness zone 3a to 10b: from −40 °F (−40 °C) to 40 °F (+4.4 °C).